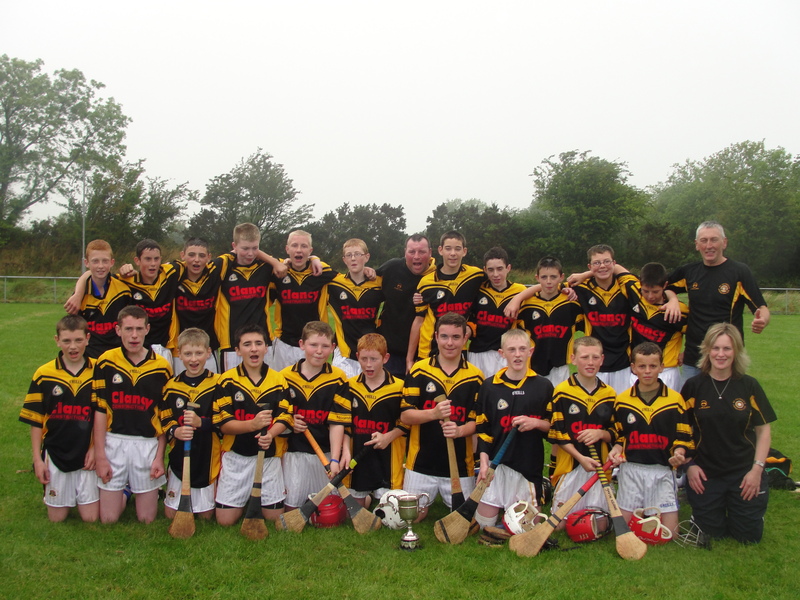 On Saturday last St Pats went down to a very good Gortnahoe side in the County U14 B semi-final in New Inn. This was a step up in opposition from previous games in the South and the more physically dominant Gortnahoe held a few more aces than our boys. As was the case in the South final the previous Saturday, climatic conditions did not suit very skilful hurling with heavy showers falling throughout. After the opening exchanges saw the sides swap points, Aidan Buckley being on target for St Pats, Gortnahoe took control with three quick fire goals put them in a commanding position from which we never fully recovered. But credit must be given to our lads who fought back bravely to register two goals before half time from the prolific Cameron Moynihan. The second half was a low scoring affair, while we had a fair amount of possession we failed to turn it into scores. When you are chasing a game the elusive goals are very hard to come by. We registered only one point through Cathal Mahoney while Gortnahoe added a further goal and two points. Indiscipline cost us the service of three players towards the end of the match, which isn’t a way any team wants to finish a match. This is one aspect we would hope will not be repeated, as all the years these players have been playing together there has never been a dismissal. The sending offs didn’t have any bearing on the final score as the better team won comfortably on the day. We would take this opportunity to wish Gortnahoe all the best in the final this Saturday against Borris-lleigh. While last Saturday ended in disappointment the season overall has been a success. Playing with a small squad that drew on 12,13 and 14yearolds, winning the South championship against much bigger clubs was a great achievement. Many thanks to Michael Kenny for match reports. This entry was posted on September 23, 2010 at 8:49 am and is filed under Hurling. You can follow any responses to this entry through the RSS 2.0 feed. You can leave a response, or trackback from your own site.